Help welcome the Great Trail Council, Boy Scouts of America Scout Service Center to it's new address! 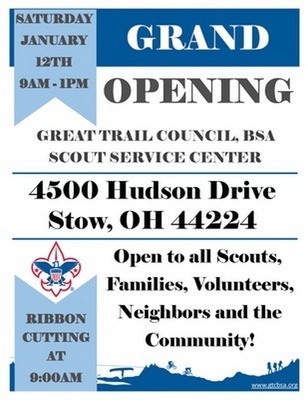 Open to all Scouts, Families, Volunteers, Neighbors and the Community! Enjoy cake and refreshments while taking a tour of the facility. Mascot Gizmo will be passing out goodies to all the kids! 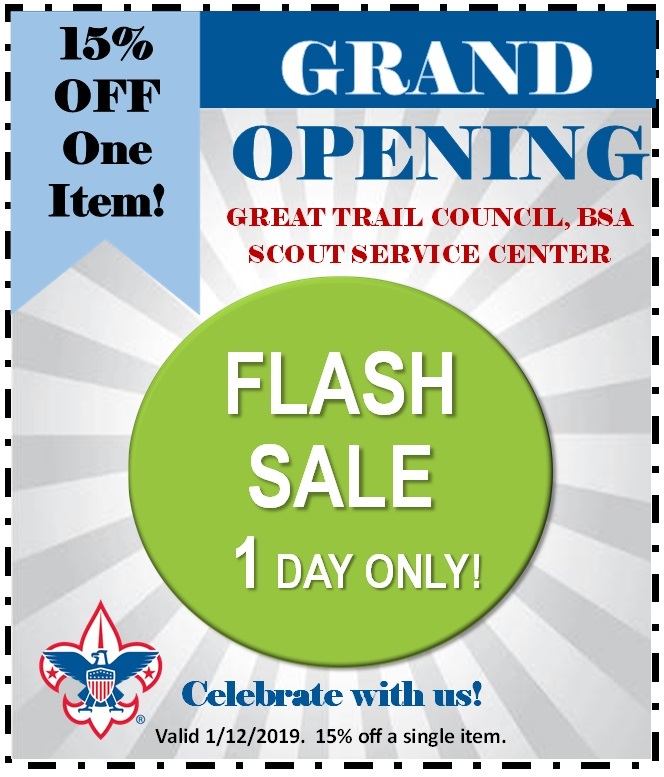 ONE DAY ONLY SALE! 15% OFF ANY SINGLE ITEM IN THE RETAIL STORE.